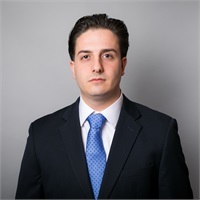 John Joseph Vento, CPA is a licensed Certified Public Accountant in the state of New York as well as a licensed General Securities Representative (Series 7). He is a member of the New York State Society of CPAs (NYSSCPA), as well as the American Institute of Certified Public Accountants (AICPA). John Joseph graduated from Quinnipiac University, where he obtained a bachelor’s degree in both finance and accounting as a double major. Prior to joining John J. Vento, CPA, P.C., he spent two years at PricewaterhouseCoopers, where he worked on audits of large financial institutions in the brokerage industry. John Joseph joined the firm in August of 2017 as a Senior Accountant.